Jelena Kovačević's research interests include biomedical imaging as well as multiresolution techniques such as wavelets and frames. She received the Dipl. Electr. Eng. degree from the EE Dept., Univ. of Belgrade, Yugoslavia, in 1986, and the MS and PhD degrees from Columbia University, New York, NY, in 1988 and 1991, respectively. From 1991-2002, she was with Bell Labs, Murray Hill, NJ. She was a co-founder and Technical VP of xWaveforms, based in New York City, NY. She was also an Adjunct Professor at Columbia University. In 2003, she joined Carnegie Mellon University. She is a Fellow of the IEEE and EUSIPCO and a coauthor (with Martin Vetterli) of the book Wavelets and Subband Coding (Englewood Cliffs, NJ: Prentice Hall, 1995) as well as a coauthor (with Martin Vetterli and Vivek K Goyal) of Foundations of Signal Processing (Cambridge University Press, 2014) and Fourier and Wavelet Signal Processing (Cambridge University Press, 2015). She coauthored a top-10 cited paper in the Journ. of Applied and Computational Harmonic Analysis, a top-100 downloaded paper on IEEE Xplore and the paper for which Aleksandra Mojsilović received the Young Author Best Paper Award. Her paper on multidimensional filter banks and wavelets (with Martin Vetterli) was selected as one of the Fundamental Papers in Wavelet Theory. She received the Belgrade October Prize in 1986, the E.I. Jury Award at Columbia University in 1991 and the 2010 CIT Philip L. Dowd Fellowship Award from the College of Engineering at Carnegie Mellon University. She served as the Editor-in-Chief of the IEEE Trans. on Image Processing from 2002-2006, Associate Editor of the IEEE Trans. on Signal Processing, Guest Co-Editor (with Ingrid Daubechies) of the Special Issue on Wavelets of the Proceedings of the IEEE, Guest Co-Editor (with Martin Vetterli) of the Special Issue on Transform Coding of the IEEE Signal Processing Magazine and a Guest Co-Editor (with Robert F. Murphy) of the Special Issue on Molecular and Cellular Bioimaging of the IEEE Signal Processing Magazine. She is/was on the Editorial Boards of the Springer-Birkhauser Applied and Numerical Harmonic Analysis, Foundations and Trends in Signal Processing, SIAM book series on Computational Science and Engineering, Journ. of Applied and Computational Harmonic Analysis, Journ. of Fourier Analysis and Applications and the IEEE Signal Processing Magazine. She was a regular member of the NIH EBIT Study Section from 2008-2012. From 2000-2002, she served as a Member-at-Large of the IEEE Signal Processing Society Board of Governors. She is the past Chair of the Bio Imaging and Signal Processing Technical Committee and on the ISBI Steering Committee. She is/was the General Chair of ISBI 2006 and 2015, General Co-Chair (with Vivek Goyal) of the DIMACS Workshop on Source Coding and Harmonic Analysis 2002 and General Co-Chair (with Jan Allebach) of the Ninth IMDSP Workshop 1996. She was/will be a plenary/keynote/tutorial/invited speaker at the Graph Signal Processing Workshop 2016, CompImage 2014, IEEE GlobalSIP 2013, IEEE Signal Processing in Medicine and Biology Symposium 2012, Automated Imaging & High-Throughput Phenotyping 2012, Mathematics and Image Analysis 2012, IS&T/SPIE Electronic Imaging Symposium 2011, From Banach Spaces to Frame Theory and Applications 2010, 20 Years of Wavelets 2009, European Women in Mathematics 2009, MIAAB Workshop 2007, Statistical Signal Processing Workshop 2007, Wavelet Workshop 2006, NORSIG 2006, ICIAR 2005, Fields Workshop 2005, DCC 1998 as well as SPIE 1998. 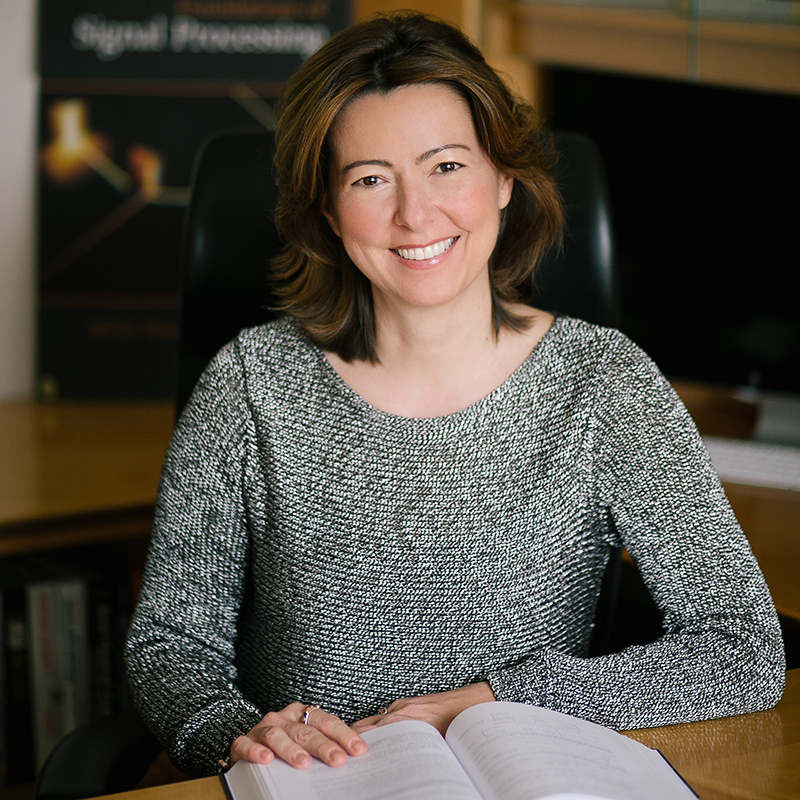 The IEEE Signal Processing Society (SPS) recently awarded Jelena Kovačević with the 2016 Technical Achievement Award for contributions to the theory and practice of signal representations. This award is one of the Society’s most prestigious award. According to the article, academic institutions around the country have made drastic changes in the way they teach engineering students. Jelena Kovačević was recently featured in a Nature article on the importance of a Ph.D. dissertation committee. Three Carnegie Mellon University faculty members, Marlene Behrmann, Jonathan Caulkins and Jelena Kovačević, have been named University Professors, the highest designation a faculty member can achieve at the university. Standing on stage before hundreds of conference attendees, presenting his research team’s improvement of the standard algorithm in calcium fluorescence neural network reconstruction, you wouldn’t know Carnegie Mellon’s Sean Bittner is still only an undergraduate. On a night in November three years ago on Pittsburgh’s Light Rail system, a passenger train needed to switch tracks to navigate around maintenance work. However, it couldn’t complete the maneuver and came off its rails, shutting down the nearby Wood Street Station for the night.